Our Top Pick this month is a beautiful book that steps into the world of haute horlogerie. Gathering the work of some of the world’s most important independent watchmakers in the world, Watchmakers: The Masters Of Art Horology provides an immaculate plethora of fine craftsmanship. Supported by exquisite imagery from Guy Lucas de Peslouan, an introduction by the prominent Aurel Bacs and critical notes by the influential journalist Nicholas Foulkes and many others. Thirteen artisans, each icons in the world of haute horlogerie, tell their stories, demonstrating incredible craftsmanship and highlighting prized watches upon which their legendary reputations have been built. A highlight for us is the striking Aventicum from Christophe Claret. If you own a grand complication, there is a good chance that you have unknowingly experienced Christophe Claret’s genius and influence. Claret draws upon the best of traditions in order to forge his own legend. 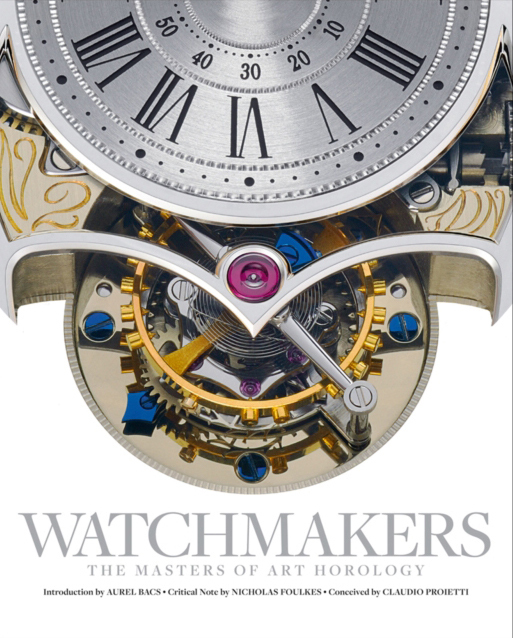 To take your appreciation of horology, especially haute horology, to the next level, you should buy this book.